"I feel happy about my new hands. And I don't feel different. I like now that I can throw a football further than when I didn't have hands," he said during a briefing at Children's Hospital of Philadelphia. His mother, doctor and physical therapists joined him. The hospital is where he underwent the 10-hour surgery. That happened in July 2015. The nation's youngest hand transplant patient has been going through extensive rehab. He has been learning how to use his new hands. He lost them and his feet to amputation seven years ago. He had suffered through a serious infection. Now he has leg prosthetics that allow him to walk. In August, the suburban Baltimore boy showed off his new abilities. 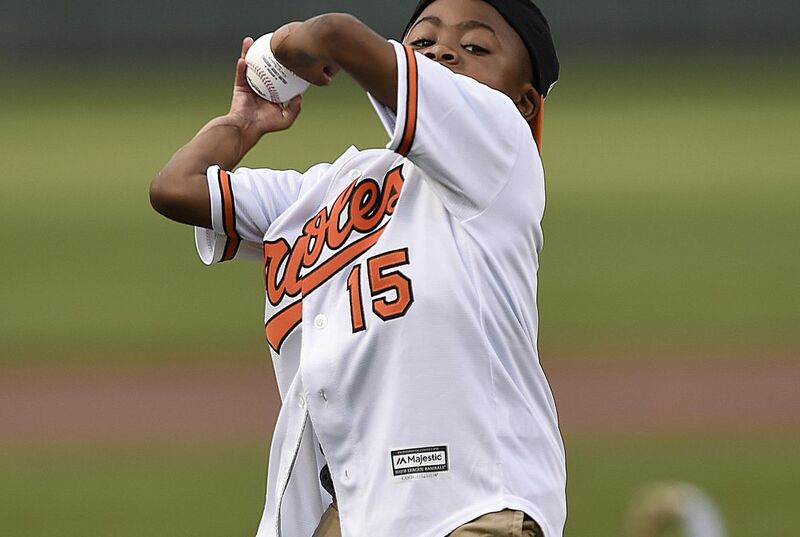 He threw out the first pitch at an Orioles game. Dr. Scott Levin is the team leader of Zion's surgery. He said Zion coped with the surgery better than many adults handle simpler procedures. Twenty-eight people in the U.S. have had hand transplants. Eleven had both hands replaced. That is according to the United Network for Organ Sharing. Worldwide, close to 100 people have had hand or arm transplants. His mother, Pattie Ray, said it's been a long journey. But now, she feels like she is living her dream. "It's his dream. But it's mine, too. I'm just living through him. And I'm just here to support him in any way and help him do whatever it is that he wants to do, if it's a baseball - not a football. Just a baseball." Zion told reporters his mom will not let him try out for football. He has tried to counter her argument that it's too dangerous by pointing out he'd be playing against little kids, not professionals. She told him they would discuss it later. Zions operation was in Philadelphia because his operator lives in Philadelphia. 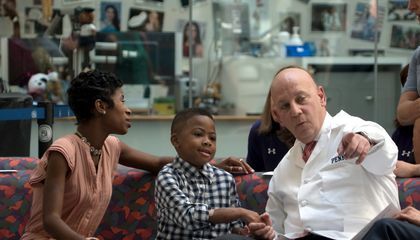 Zion's surgery was performed in Philadelphia because that is where the children's hospital is and I think it is pretty close to Baltimore and that where he lives. It was in Philadelphia because his mom works there. he could perform cause he had surgery in Philadelphia. Maybe he lives close to the edge of Baltimore and that was the closest children's hospital to his house. I think that his operation was performed in Philadelphia because the people in Baltimore couldn't do it. Because if he`s surgery was in Philadelphia and he had to move he wood hatf to have his surgery before moving. Zion had his operation in Philadelphia because Baltimore did not have what Philadelphia had that they needed.